Some time ago, I read the rules for the Boolprop Monster Mash, and thought it sounded like fun. 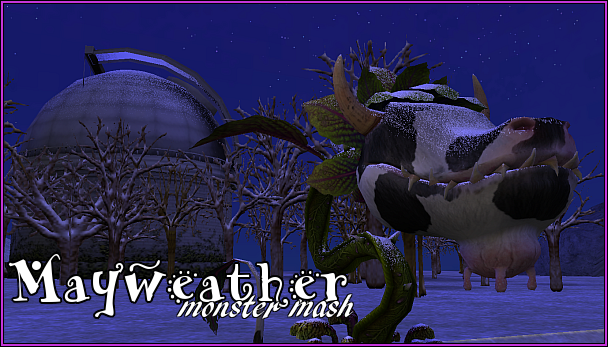 I've mashed many monsters over the years, but this challenge has a few spins and fiddly bits that add to the fun! So I decided to give it ago. 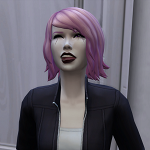 Chapter One: I Spy Drunk Aliens! Allotment Chic: All food must be grown on the lot - no stocking the fridge with ordered groceries! Portraiture: A picture of everyone who has lived on the lot. Before And After: A picture of the black sheep after every creature gained. So you can see the progress, of course! Heirs And Spares: We need a spare to our black sheep! Family: Find a spouse, settle down and have three kids. Strange Friends: We need a bigfoot and a servo. For science. Wicked: A witch of each alignment. Graveyard Smash: Collect a ghost of every colour. Last edited by Sam on December 8th, 2017, 6:20 pm, edited 1 time in total. Ooh this was hilarious and fun to read! The Grim Reaper putting his hand on his hips like "really?" Had me dying. Esmerelda is one of my favorite names, and she's such a gorgeous toddler! I'm a little uninformed in the monster mash rules but I look forward to watching you nail this challenge! Good luck with all the Death Challenges! This is exciting! He's genuinely judging me, isn't he It's such a pretty name, isn't it? And she's adorable. I'm finally reading up on it - it looks like fun! Good luck to little Esme; I can't wait to watch how she'll knock out all those lifestates! It took me awhile, but have an update! !